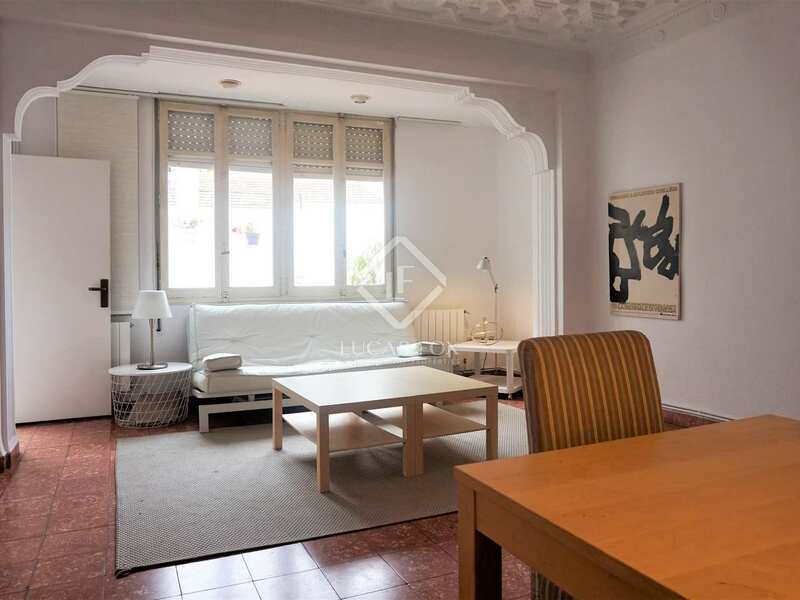 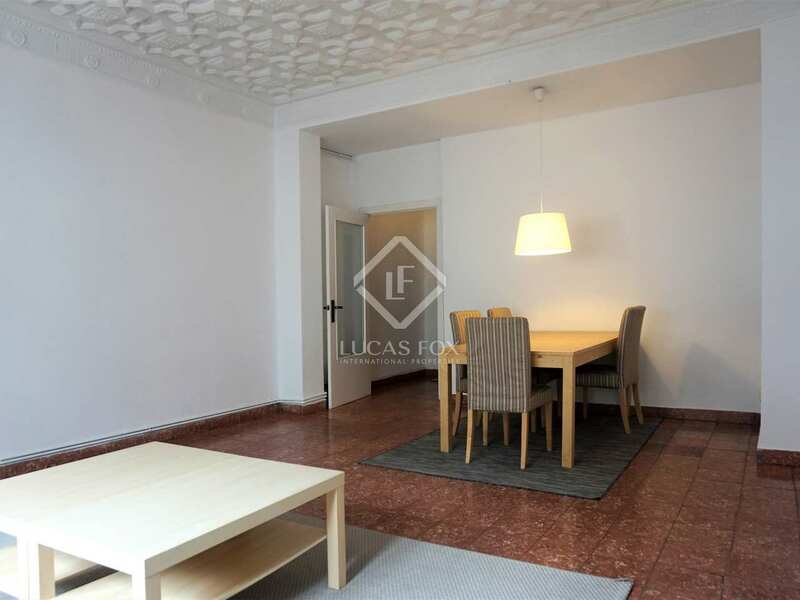 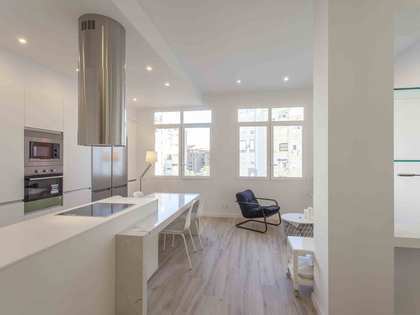 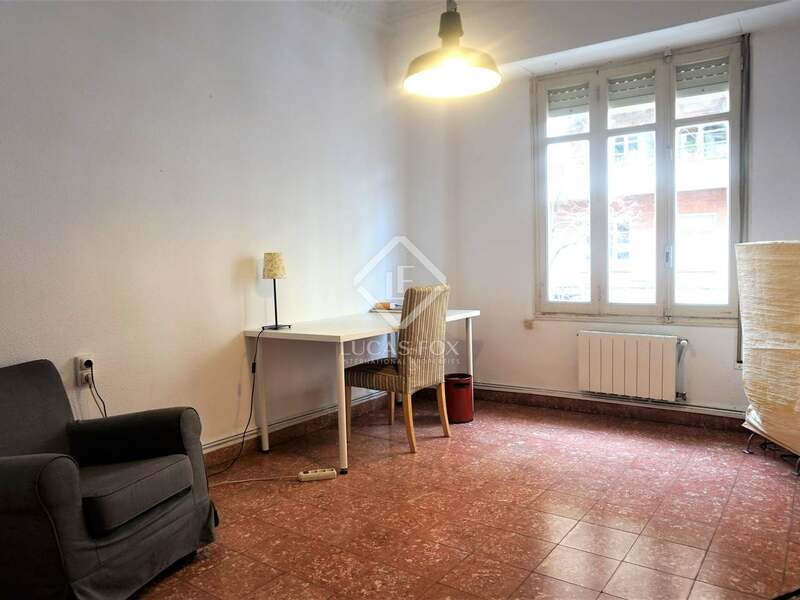 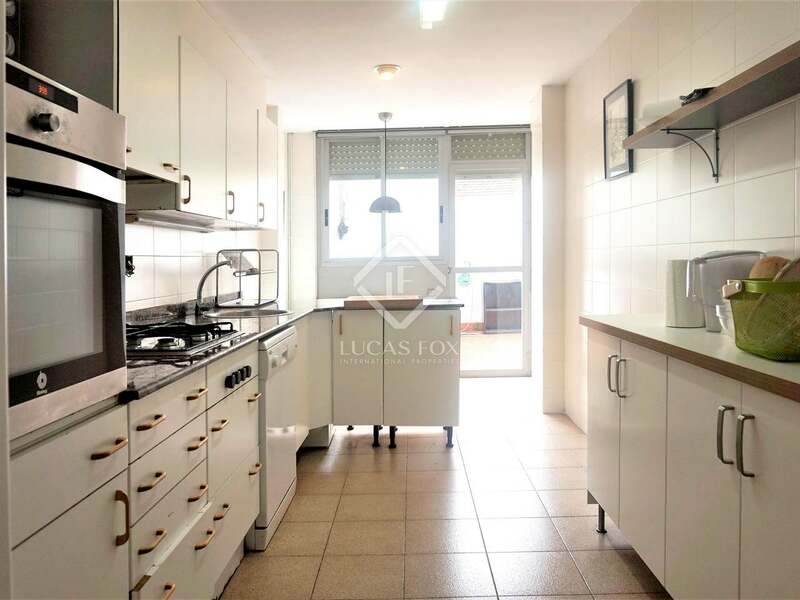 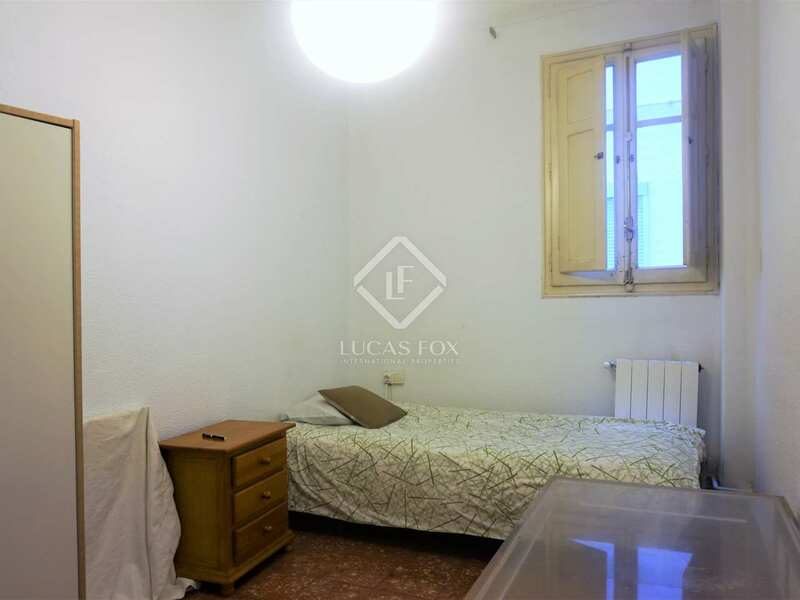 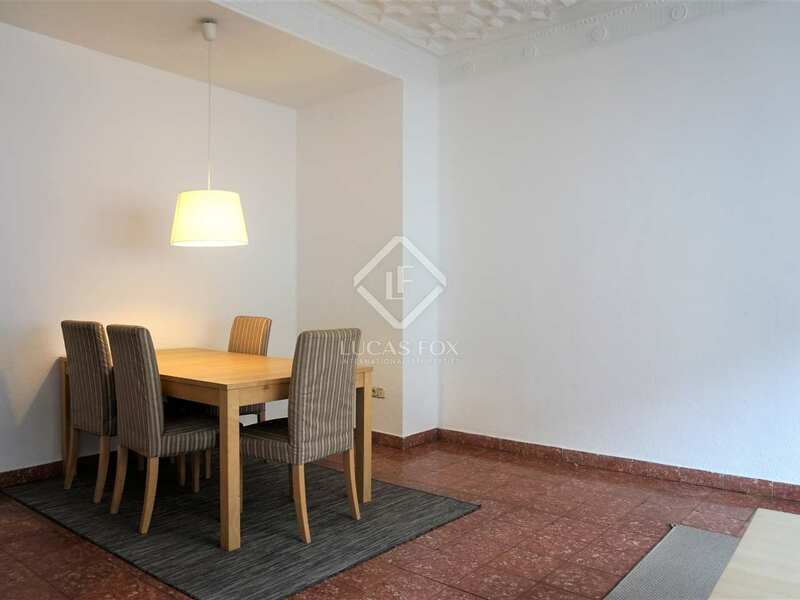 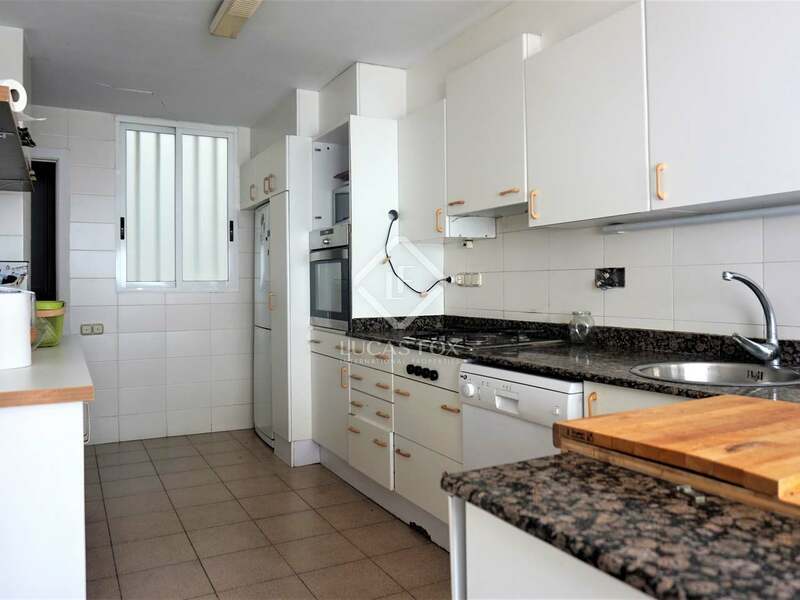 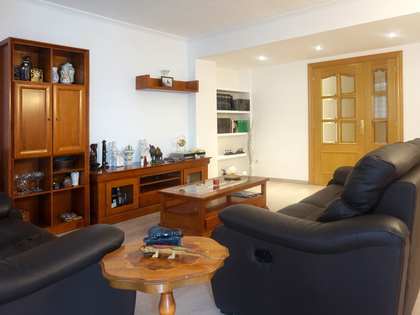 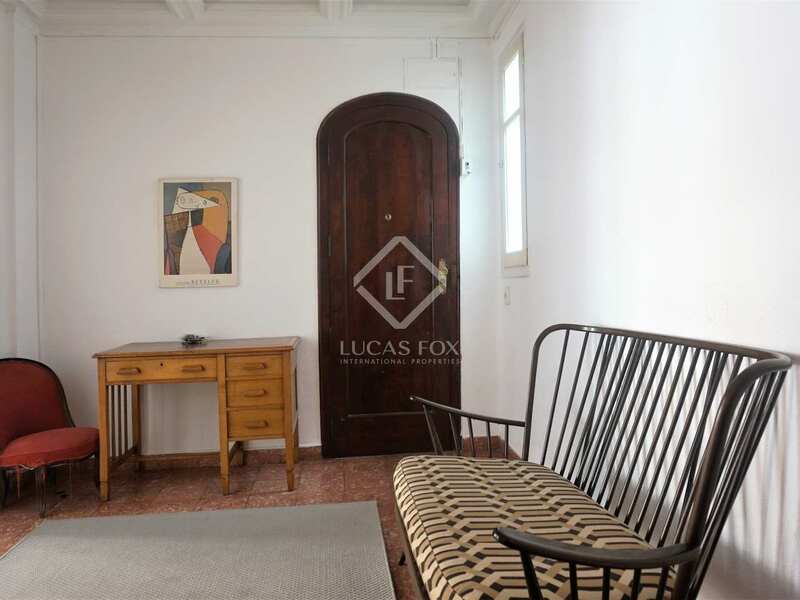 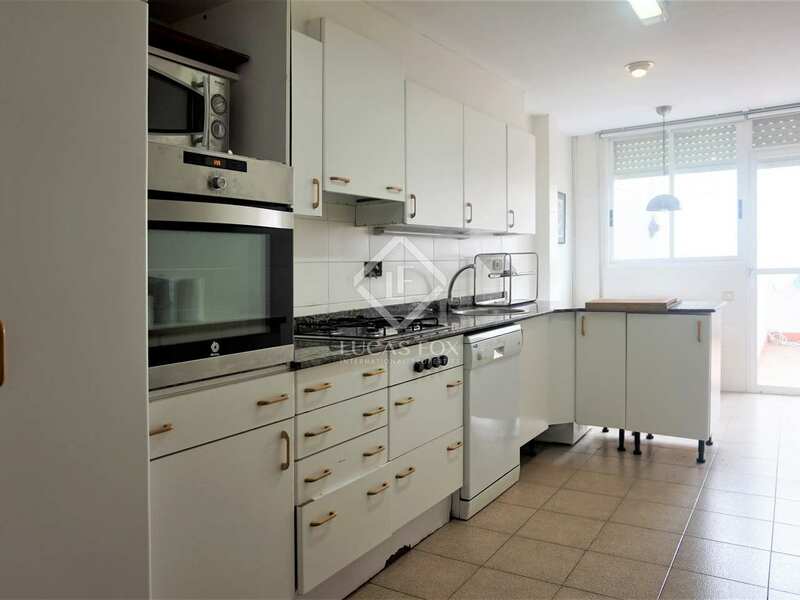 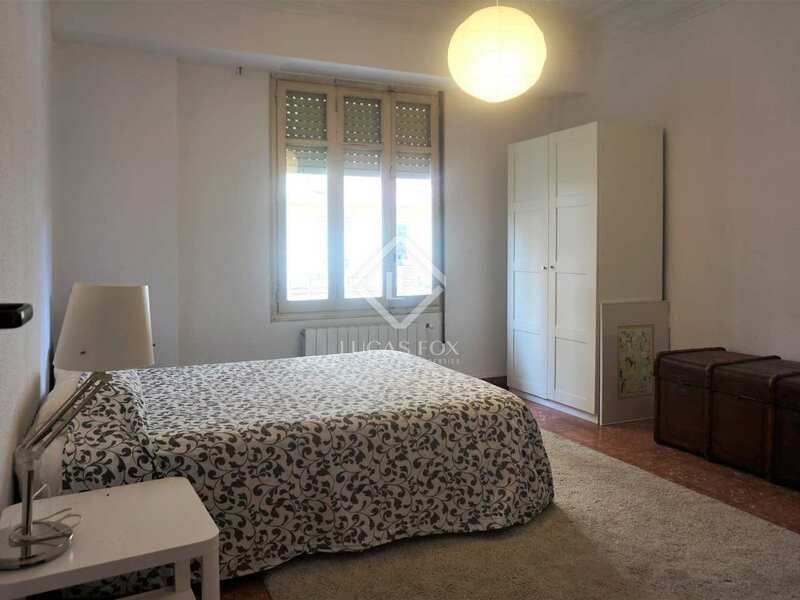 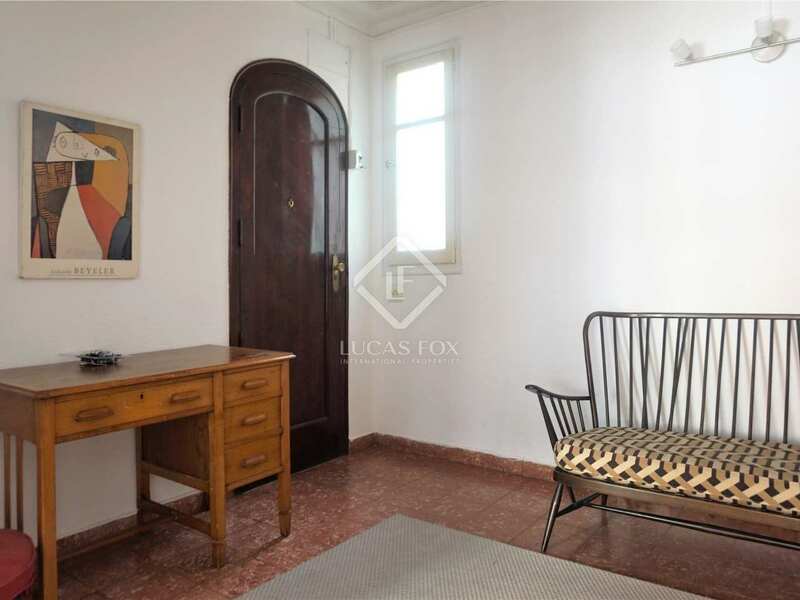 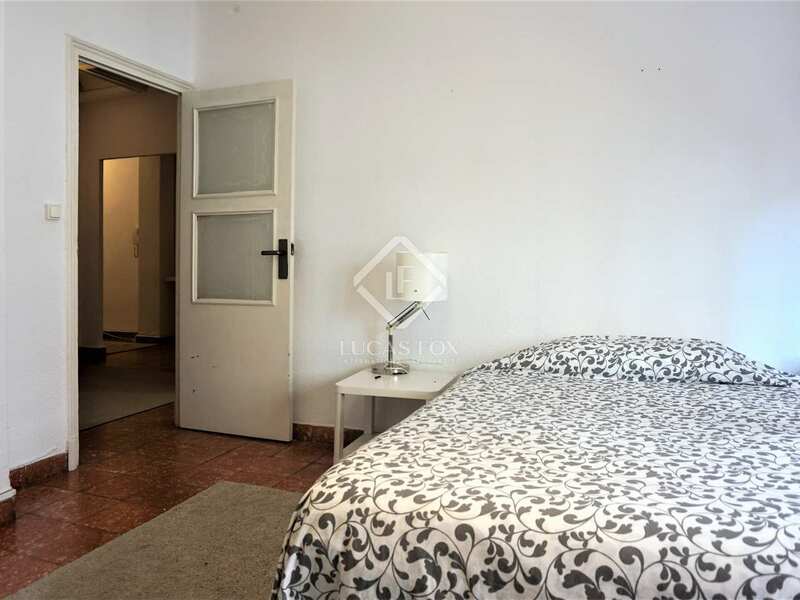 This charming apartment to renovate is located in the area of Gran Vía, very close to the Turia Gardens and the city's most well-known schools. 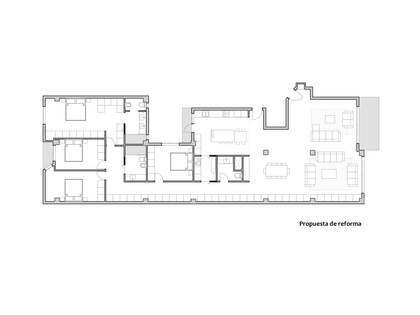 The apartment is within a building dating back to the 1950s with an accessible and renovated hallway and lift. 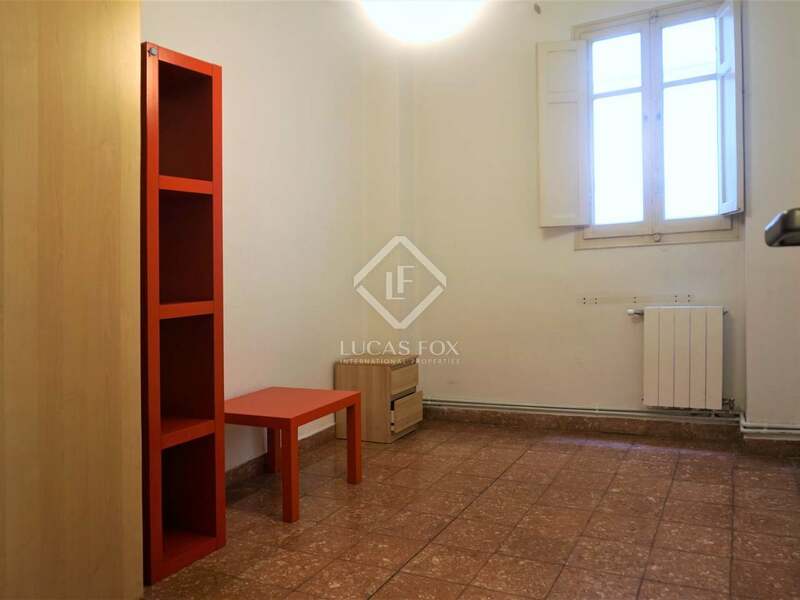 Here we find a communal storage room that is currently used as a practical bicycle area. 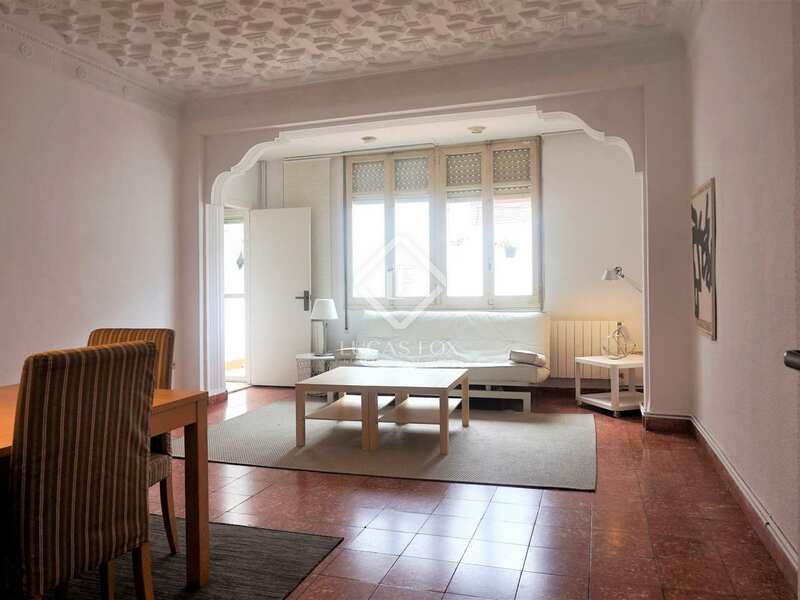 The apartment, which is in need of renovation, stands out for its well preserved original details such as the decorative mouldings on the high ceilings. 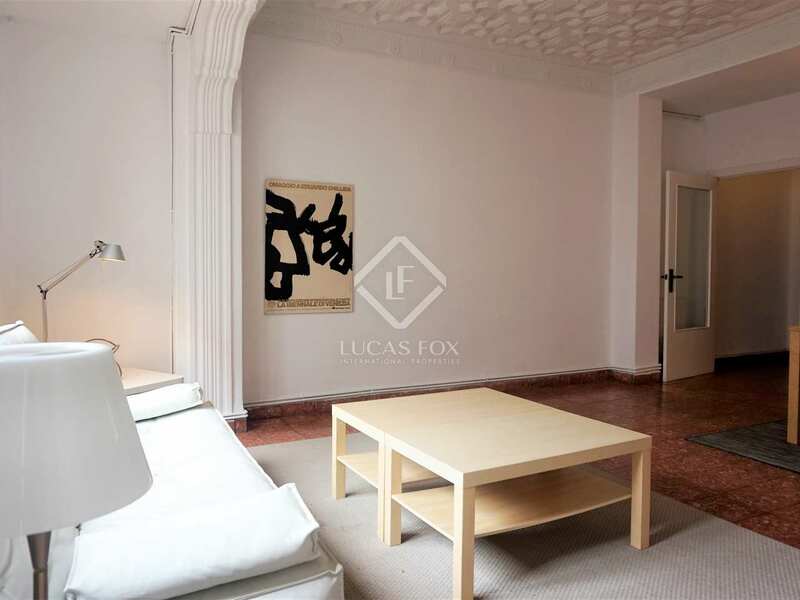 With the current layout the property consists of a large hall with a plasterwork coffered ceiling. 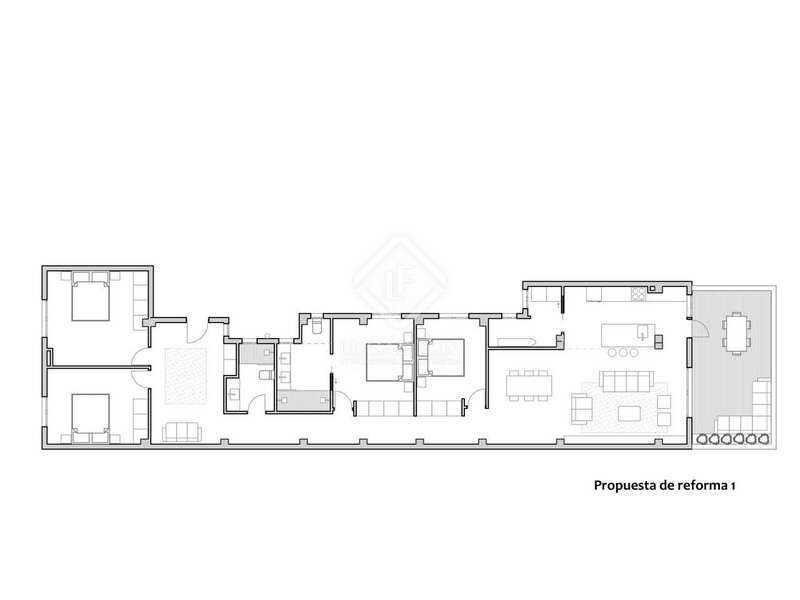 On the right there are two double bedrooms, spacious and facing onto the façade of the building. 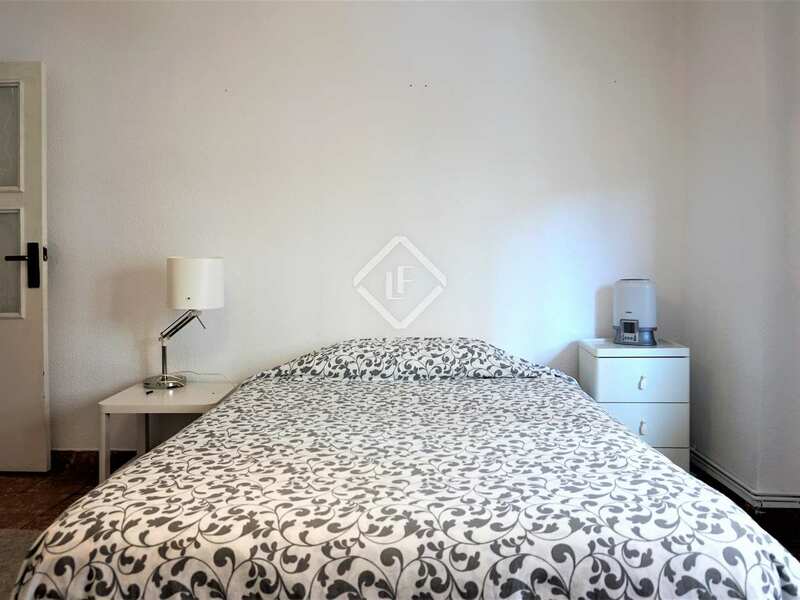 Both bedrooms have high ceilings with decorative plant reliefs, a very unique design. 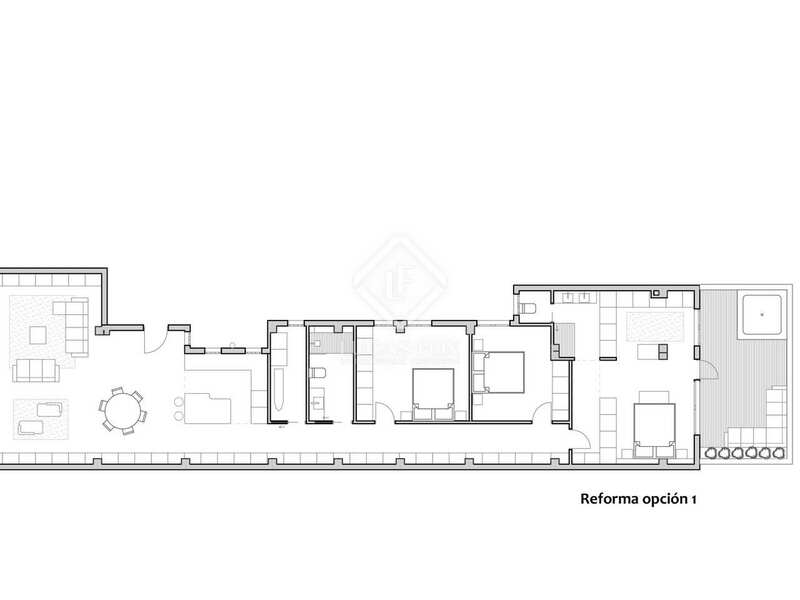 To the left of the entrance hall a corridor leads to the two bathrooms and the three remaining bedrooms which overlook a courtyard. 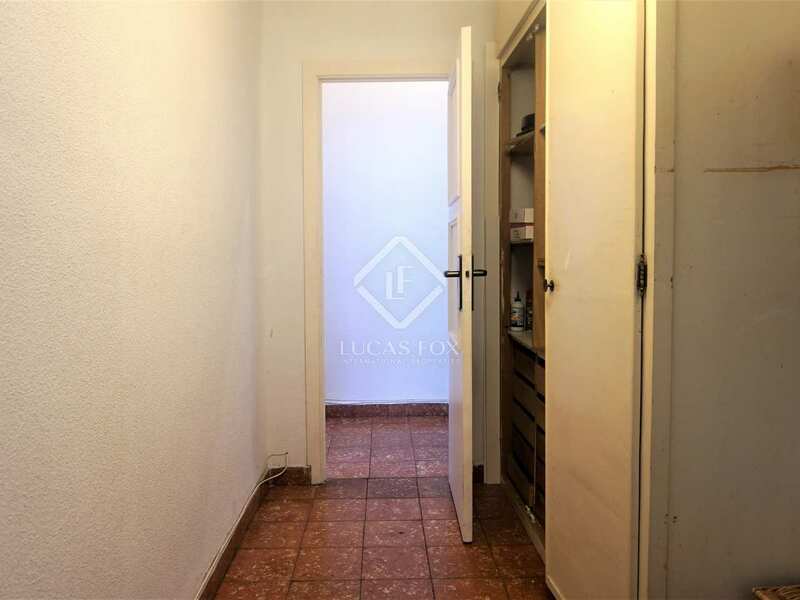 To the rear of the property we find the spacious living-dining room, also with high, decorative ceilings. 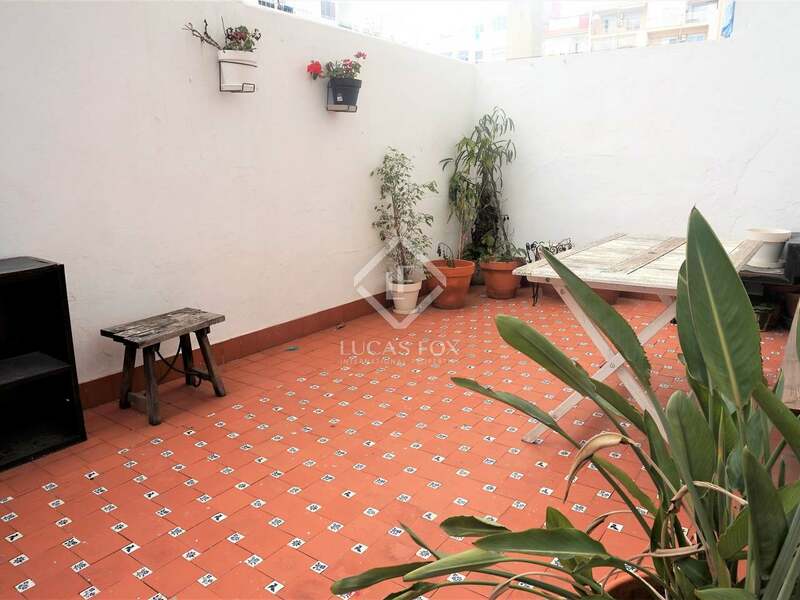 This bright room opens onto a private 18m² terrace. 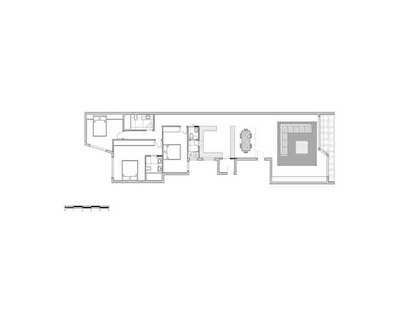 Next to the living room is the kitchen, which can also be accessed from a passage area currently used as a technical room and larder. 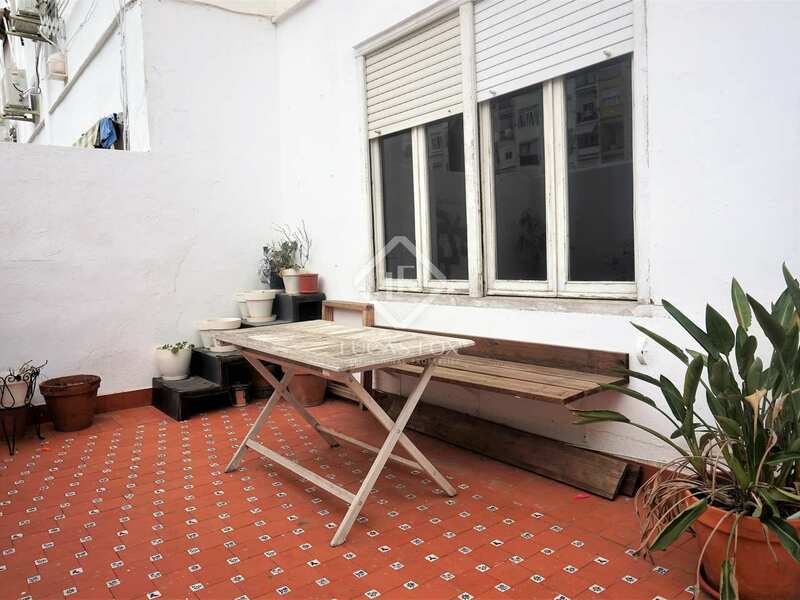 The kitchen also has access to the terrace. 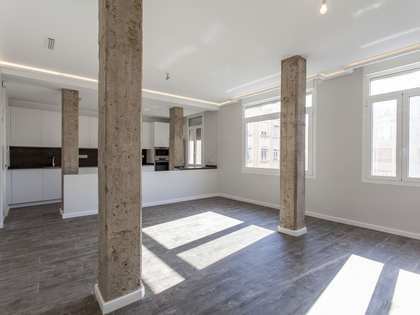 The renovation could be carried out on a low budget, maintaining the current layout and expanding the spaces by eliminating some partition walls. 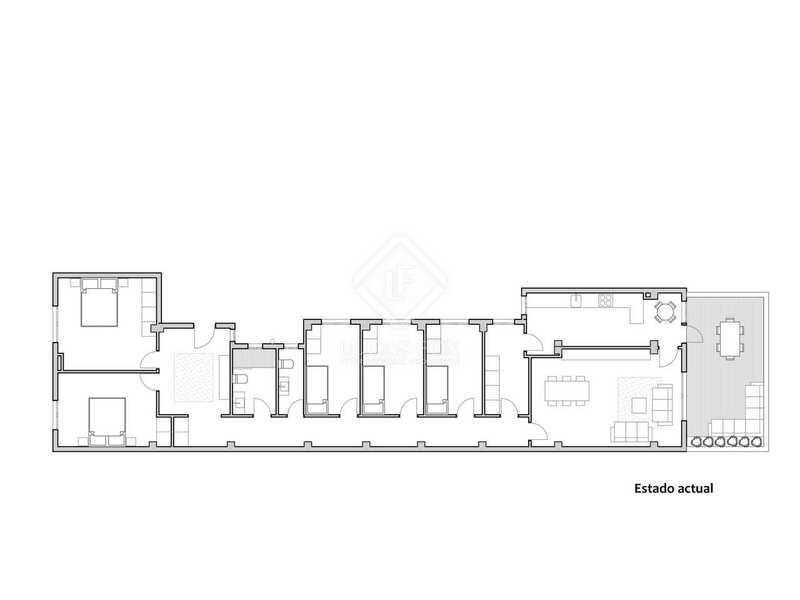 Alternatively, the distribution could be reversed by moving the dining room to the façade, this option would require greater investment. 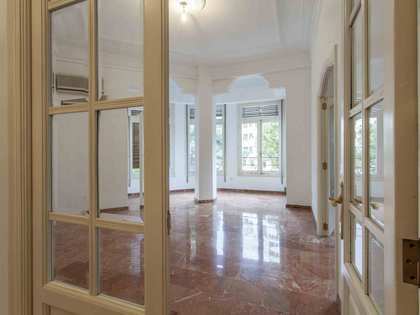 It is, therefore, a versatile property that can accommodate different requirements. 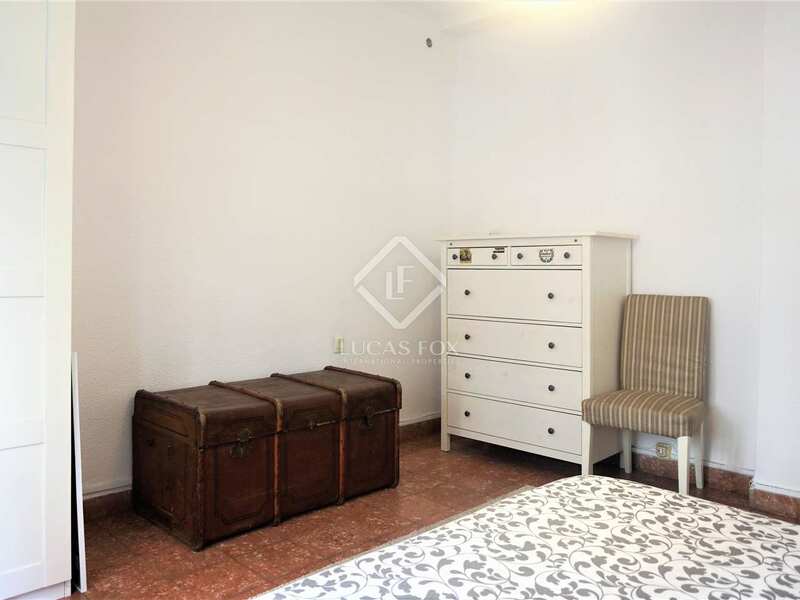 A unique and welcoming home with beautiful original details and very well maintained. 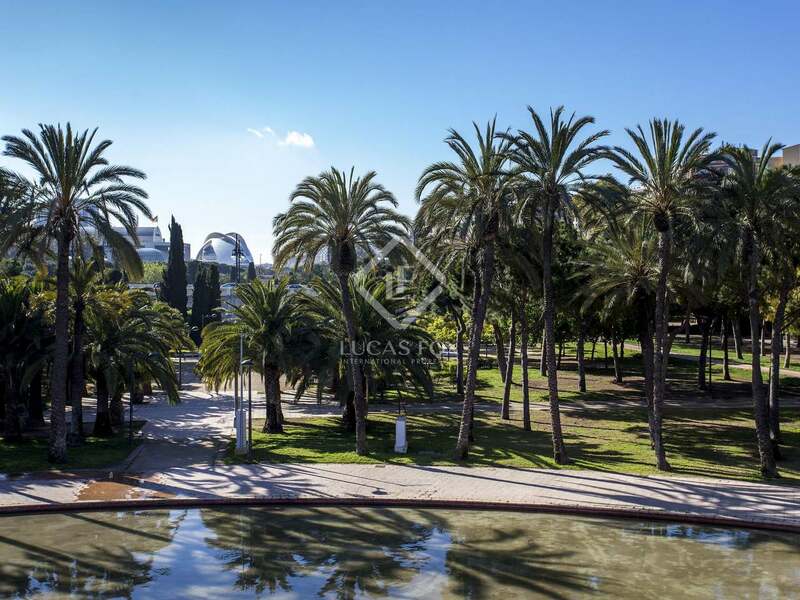 It would make an ideal home for families with school-age children, due to its proximity to schools in the area and the Turia Gardens, as well as for people or couples who want to live near the centre of the city, in one of the most coveted neighbourhoods. Gran Vía is one of the most sought-after areas of the city, due to its residential nature and proximity to the centre. 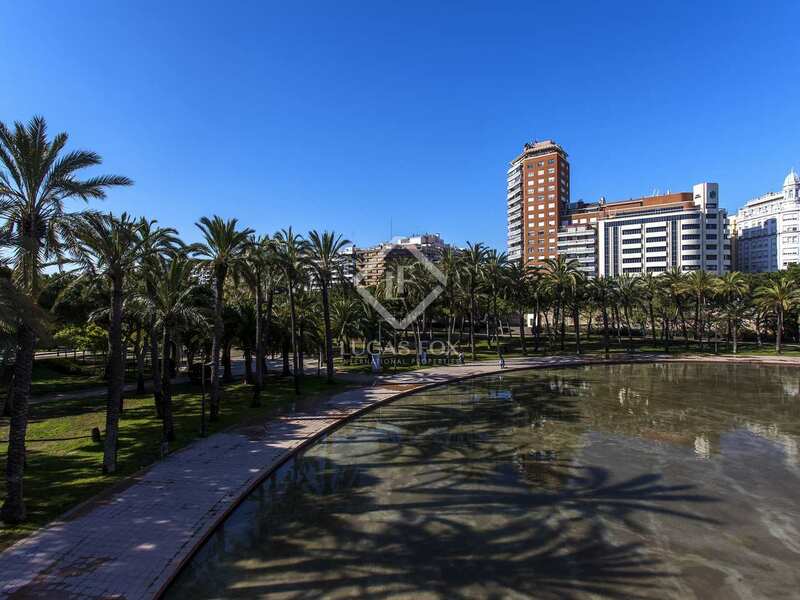 It has all services (public transport, commerce, reputable schools and leisure facilities). 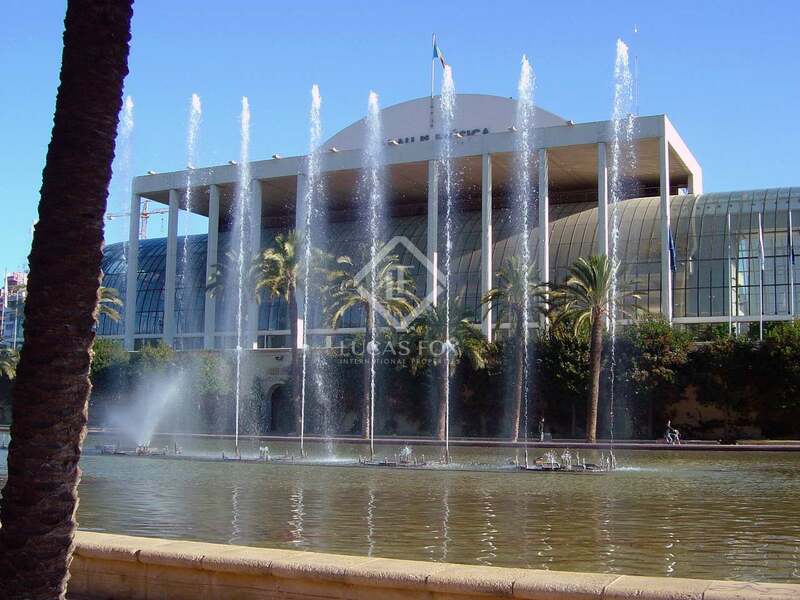 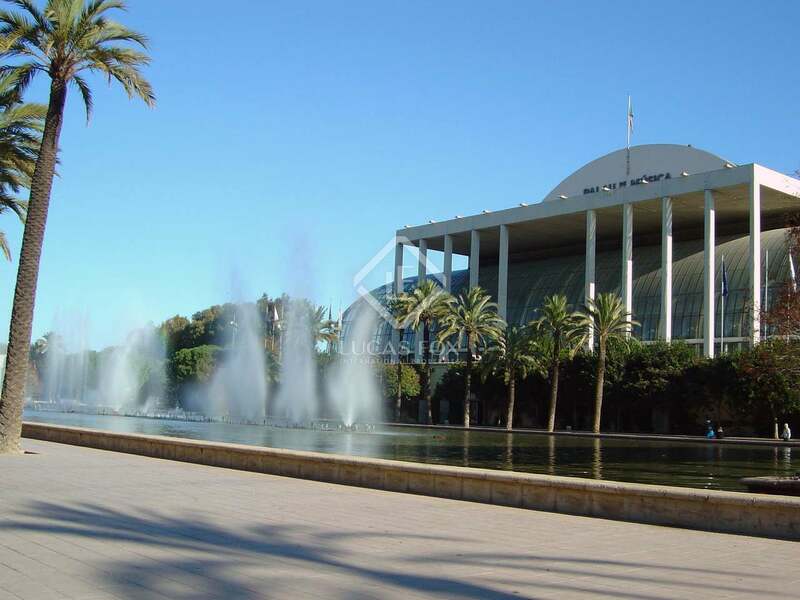 It is located a few minutes from the city centre, the Turia Gardens and the Palau de la Música, as well as being 10 minutes from the City of Arts and Sciences. 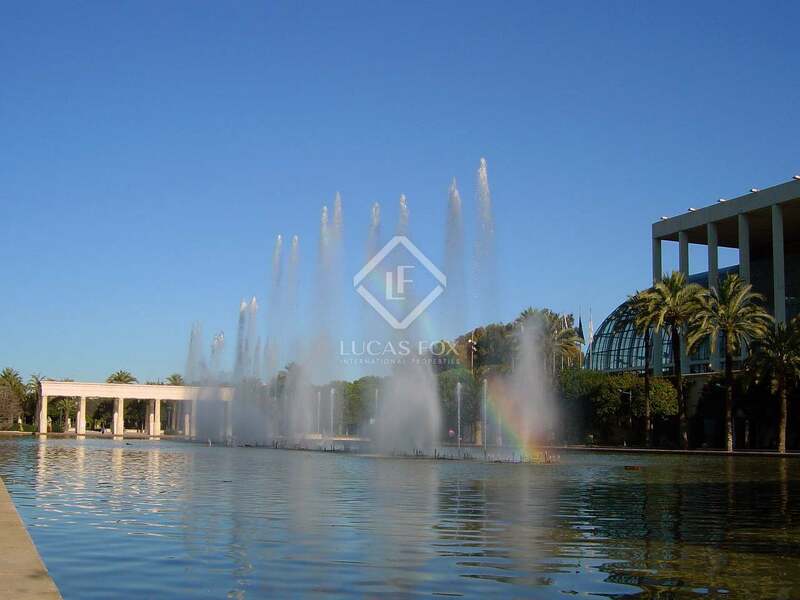 Therefore, it is a very popular neighborhood which combines a family atmosphere with proximity to the centre.